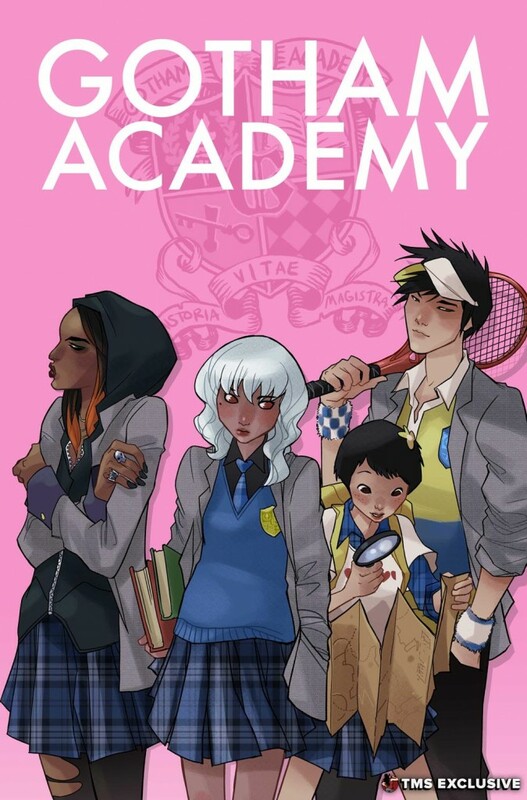 Comics and Human Rights: An Interview with the Gotham Academy Team. Click here for the introduction to the Comics, Human Rights and Representation Week. One of the main reasons I love Gotham Academy is the cast. Not just the beautiful art, but what they look like. When in the process did you start talking about what the characters would look like? Brenden Fletcher: We are talking about more than what they look like. Right from the beginning, Maps was Japanese-American. Even if she wasn’t going to visually look like that, her family had Japanese ancestry with a last name like Mizoguchi. And Karl took the design from there. Karl Kerschl: We never discussed it. This is the first time we all worked as a group together. It’s the first time I’ve ever worked with Becky. But Brenden and I have a really intuitive process. He’ll write something and I will get this idea of the character, not just visually, but as a whole person. And Maps just came through so easily, mostly because of her personality. My wife’s mother is from Japan so I’ve been immersed in Japanese culture for so many years, it was so nice to be able to represent a piece of that. Brenden, outside Maps’s name, we never really talked about it, did we? Brenden: No. I felt she was an easier visual for you to arrive at in terms of who she was. The first character that you drew was Maps, right? Karl: Maps and Olive. Maps I had a pretty solid idea of what she was going to look like. Olive went through a lot of back-and-forth trying to arrive at a look for her. Brenden: Becky and I spoke about it with Karl, outside of the Mizoguchis, the ethnicities of the characters are left a bit more ambiguous. We try to imply this through the visuals. Most of the characters are indeed ethnically ambiguous. How deliberate was that? 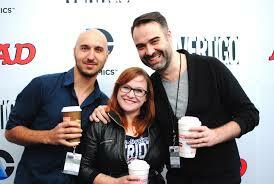 Brenden: The three of us always really liked this notion of there not being a simple direct story about any character. We never felt that we needed to follow a formula where ‘oh, you’re name is this, clearly your background is 100% ethnically this, so therefore you will look a specific way’. That’s so cookie-cutter and uninteresting. That’s not what the real world is like. And these characters feel more real and alive, with richer histories, when their surnames don’t match what the popular opinion on the visual should be. Just because Pomeline has a potentially Anglo-Saxon surname does not mean her complexion should be lily-white. Olive has white hair and red eyes. Brenden: With Olive in particular, we didn’t want her to be lily-white, and then Karl messed around with the colour pallet and how to best balance it. Karl: A lot of it is just aesthetic. For many years I have tended to depict characters with slightly darker, or ambiguous skin tones. Something that you can’t quite put your finger on. With Olive, it made sense, partly because of my taste, but also because of the colour of her hair. Just aesthetically, the way it frames her face. Were you expecting all the affection towards Maps? Brenden: We were just focused on building the best book and the best characters we could. When you write a collection of characters, it’s really difficult to pull one out and say ‘that’s the one everyone is going to like’. As writers, you fall in love with all your characters and you see them in an equal footing. But it was clear when the images started showing up that people were gravitating towards Maps. And it’s always so gratifying to see people who say they’re really into Pommeline or those who want more Olive. It’s amazing. 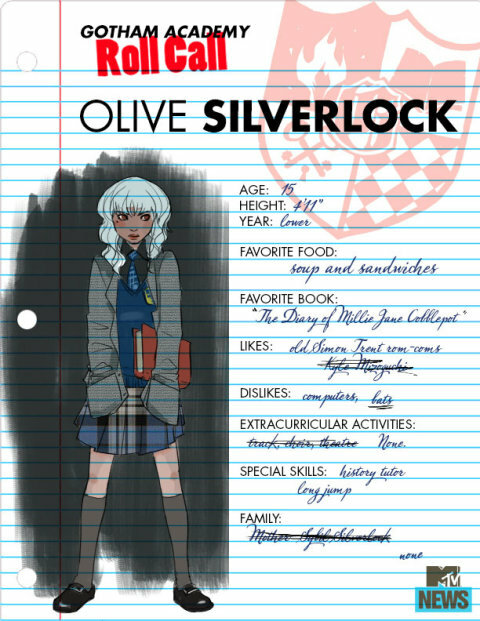 Becky once said that Gotham Academy felt a little subversive. And it feels like it is making a statement about the industry and the type of books that should be out. Is this true? Brenden: When given the opportunity to make change we have to do our best. Even if our book doesn’t have a big readership, we need to do what we can to point the way and show how it can be done differently. There’s more than one way to do a DC comic book. Becky: It seems that this is the zeitgeist right now. Everybody is talking about it, not just gender representation but ethnicity and sexuality. Comics is going through some really big changes right now, with the growing readership. It is our job to reflect that. Especially if we are making a comic like Gotham Academy, which is probably going to be some young child’s first comic. I remember my first comic. It’s important. I don’t want to say that it is our duty, but it almost seems like it is. 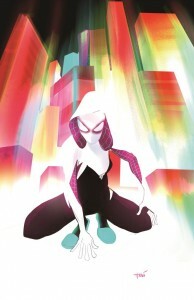 In an interview about Spider Gwen, Jason Latour said he was very aware of the fact that Spider Gwen is a book about a teenage girl superhero mostly produced by men. Can you comment on the need to have representation both on and behind the pages? Some people would say that guys can only write about guys and girls can only write about girls. Becky: That’s like saying that I think differently when writing a male character than a female character. I don’t think that I do. Brenden writes some of the best women ever, and Karl draws some of the best girls ever, so having them on this book is great. Speaking as a girl, I know I am careful when I am writing both girls and guys. I don’t want to say that Brenden has to think harder when talking about girls. Do you? Brenden: It’s weird, I default to writing female characters. This is something that Karl and I discovered ages ago. Neither of us gravitated towards male characters. All the books we were buying had testosterone-fuelled male protagonists, and that’s not the type of people we were. 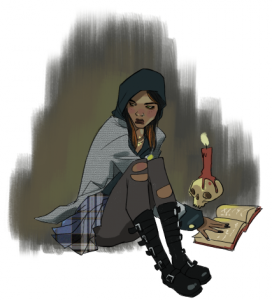 So when we wrote books, we identified with the female characters that felt more real. Karl: It goes back to the books we read. Elfquest had some really strong female characters in it. A lot of Robotech had a lot of ambiguous sexuality. We watched that stuff at a really young age and it was really formative when it comes to not defining anything any one way. Brenden: I’m very conscious that I am a straight white man writing books about young girls. And certainly, if I were to do this kind of thing again, I would make sure I am doing as much as I can with the privilege I’m being afforded, to bring as much diverse voices as I can to the book. 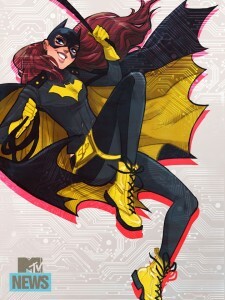 That is part of why we have Babs Tarr on Batgirl. Mostly it is because she is the right visual voice for the book. But she also informs on how she looks at the female characters. And also to some extent, the male characters. It is like we have this extra perspective when we are writing, so it is not the myopic view that Cameron [Stewart – co-author of Batgirl] and I would have if we were working on our own. We are certainly conscious of it. It’s what Becky was saying: it is misleading to say that only guys can write about guys and that only girls can write about girls. Becky: People always say write what you know, and that’s true to a certain extent. Jason [Latour] is a great guy and a great writer. To really think hard about what you are writing, that’s what makes you a good writer. It is easy to rest on your laurels and play to tropes and make decisions because they are easy. As a writer, you really need to push yourself to put yourself in your characters’ shoes. So you have me putting myself in Heathcliff’s shoes. Heathcliff had a totally different experience growing up than I did, and you need to think about that even though he is just a minor character. 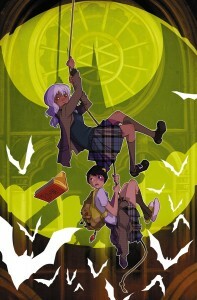 It is all about creating a rich tapestry in your story, especially when it comes to a book like Gotham Academy. 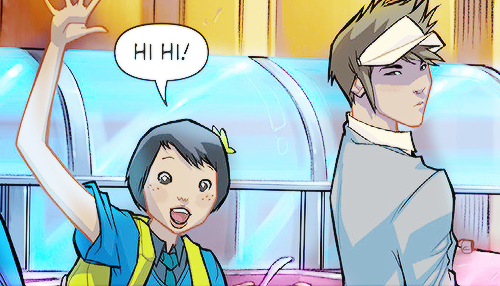 If you had to summarise Gotham Academy’s mission statement, what would it be? Brenden: First and foremost we are trying to tell a great story. On top of that, we are using this opportunity we have been given to bring new characters into the DC universe that will allow it to feel more well-rounded. Becky: When Mark Doyle [Gotham Academy’ editor] called me for the first time about Gotham Academy, he wanted something new set in Gotham. Brenden and Karl were in the room and I was like ‘Gotham Academy!’ It fills a big gap. There’s not many all-ages books, or YA books at DC. It was like a power vacuum. And the idea that this could be someone’s first comic or first DC comic is important. If that is a comic that gets them involved into comics, that’s great. I’m very conscious that this could be someone’s first comic book. Click here to read all of the Comics, Human Rights and Representation articles. This entry was posted in Comics, Human Rights & Representation Week and tagged Comics and Human Rights, Representation. Bookmark the permalink. 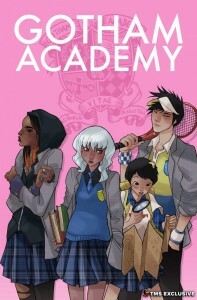 2 Responses to Comics and Human Rights: An Interview with the Gotham Academy Team. Brenden has a point. A character that has so much ethnicity in its features will always have a biased reception from the public. It will just be a cut-and-dried character. While keeping the ambiguity of ethnicity, you create a much more interesting character that has so much mystery, fans will surely have a great time debating what’s that character’s roots will be.